1. Мирсадыков Д.А., Абдумажитова М.М., Якуббеков Т.Ю. и др. Коррекция гидроцефалии, обусловленной туберкулезом. Российский нейрохирургический журнал им. А.Л. Поленова 2012;4(4):56–61. 2. Agrawal D., Gupta A., Mehta V.S. Role of shunt surgery in pediatric tubercular meningitis with hydrocephalus. Indian Pediatr 2005;42(3):245–50. PMID: 15817972. 3. Arimoto A., Yoshioka H., Kinara M. et al. Tuberculous meningitis with hydrocephalus contribution of PCR assay of CSF before VP shunting. Childs Nerv Syst 1998;14(9):623–6. PMID: 9840362. 4. Aslam M., Khan A.A., Udin M. et al. Ventriculoperitoneal shunt for hydrocephalus secondary to tuberculous meningitis: effects of response to variables on short term outcome. Pak J Surg 2010;26(4):284–90. 5. Chan K.H., Cheung R.T., Fong C.Y. et al. Clinical releavance of hydrocephalus as a presenting feature of tuberculoses meningitis. QJM 2003;96(9):643–8. PMID: 12925719. 6. Kankane V.K., Gupta T.K., Jaiswal G. Outcome of ventriculoperitoneal shunt surgery, without prior placement of external ventricular drain in Grades III and IV patients of tubercular meningitis with hydrocephalus: A single institution’s experience in the pediatric population and review of literature. J Pediatr Neurosci 2016;11(1):35–41. DOI: 10.4103/1817-1745.181265. PMID: 27195031. 7. Peng J., Deng X., He F. et al. Role of ventriculoperitoneal shunt surgery in grade IV tubercular meningitis with hydrocephalus. Childs Nerv Syst 2012;28(2):209–15. DOI: 10.1007/s00381-011-1572-0. PMID: 21909965. 8. Rajshekhar V. Surgery for brain tuberculosis: a review. Acta Neurochir (Wien) 2015;157(10):1665–78. DOI: 10.1007/s00701-015-2501-x. PMID: 26170188. 9. Savardekar A., Chatterji D., Singhi S. et al. The role of ventriculoperitoneal shunt placement in patients of tubercular meningitis with hydrocephalus in poor neurological grade: a prospective study in the pediatric population and review of literature. Childs Nerv Syst 2013;29(5):719–25. DOI: 10.1007/s00381-013-2048-1. PMID: 23404292. 10. Srikantha U., Morab J.V., Sastry S. et al. Outcome of ventriculoperitoneal shunt placement in Grade IV tubercular meningitis with hydrocephalus: a retrospective analysis in 95 patients. Clinical article. J Neurosurg Pediatr 2009;4(2):176–83. DOI: 10.3171/2009.3.PEDS08308. PMID: 19645554. 11. Bishburg E., Sunderam G., Reichman L.B., Kapila R. Central nervous system tuberculosis with the acquired immunodeficiency syndrome and its related complex. Ann Intern Med 1986;105(2): 210–3. PMID: 3729203. 12. Jung E.K., Chang J.Y., Lee Y.P. et al. A case of disseminated multidrug-resistant tuberculosis involving the brain. Infect Chemother 2016;48(1):41–6. DOI: 10.3947/ic.2016.48.1.41. PMID: 27104015. 13. Lesprit P., Zagdanski A.M., de La Blanchardière A. et al. Cerebral tuberculosis in patients with the acquired immunodeficiency syndrome (AIDS). Report of 6 cases and review. Medicine (Baltimore) 1997;76(6):423–31. PMID: 9413428. 14. Takeshima H., Kawahara T., Kuratsu J. Multiple meningeal tuberculomas recurring after 18-month anti-tuberculous chemotherapy – case report. Neurol Med Chir (Tokyo) 2004;44(3):133–7. PMID: 15095967. 15. Vidal J.E., Hernández A.V., Oliveira A.C. et al. Cerebral tuberculomas in AIDS patients: a forgotten diagnosis. Arq Neuropsiquiatr 2004;62(3B):793–6. DOI: /S0004-282X2004000500010. PMID: 15476071. 16. Tewary R.K., O’Sullivan M.G., Ali T.A., O’Sullivan P.G. Intracranial tuberculoma – a diagnostic dilemma. J Laryngol Otol 2005;119(6):486–8. DOI: 10.1258/0022215054273061. PMID: 15992480. 17. Улитин А.Ю., Олюшин В.Е., Размологова О.Ю. и др. Туберкулема головного мозга: клинический случай и обзор литературы. Нейрохирургия 2007;(1):40–4. 18. Sharma M., Velho V., Kharosekar H. A rare case of an isolated intraventricular tuberculoma with a dismal outcome: an unusual location of a common pathology and lessons learnt. Indian J Tuberc 2014;61(2):166–70. PMID: 25509942. 19. Yadegarynia D., Merza M.A., Sali S., Seghatoleslami Z.S. Multiple intracranial tuberculomas in a post-kidney transplant patient. Saudi J Kidney Dis Transpl 2016;27(1):135–8. DOI: 10.4103/1319-2442.174163. PMID: 26787580. 20. Филиппова Т.П., Новицкая О.Н., Быков Ю.Н., Корнилова З.Х. ВИЧ-ассоциированный туберкулез центральной нервной системы в регионе с высоким уровнем распространения туберкулеза и ВИЧ-инфекции. 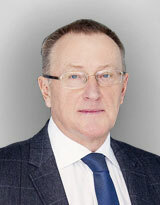 М.: Р. Валент, 2012. 132 с. [Filippova T.P., Novitskaya O.N., Bykov Yu.N., Kornilova Z.Kh. HIVassociated tuberculosis of the central nervous system in a region with high prevalence of tuberculosis and HIV infection. Moscow: R. Valent, 2012. 132 p. (In Russ.)]. 21. Rajshekhar V. Management of hydrocephalus in patients with tuberculous meningitis. Neurol India 2009;57(4):368–74. DOI: 10.4103/0028-3886.55572. PMID: 19770534. 22. Nadvi S.S., Nathoo N., Annamalai K. et al. Role of cerebrospinal fluid shunting for human immunodeficiency viruspositive patients with tuberculous meningitis and hydrocephalus. Neurosurgery 2000;47(3):644–9. PMID: 10981752. 23. Sharma R.M., Pruthi N., Arimappamagan A. et al. Tubercular meningitis with hydrocephalus with HIV co-infection: role of cerebrospinal fluid diversion procedures. J Neurosurg 2015;122(5):1087–95. DOI: 10.3171/2014.12.JNS14257. PMID: 25679277.